Miner and commodities trader Glencore (LON:GLEN) has settled a potentially damaging legal row with former business partner in Democratic Republic of Congo, Dan Gertler, by agreeing to pay royalties he is owed from copper and cobalt mines. The Swiss firm will make the payments to the Israeli billionaire in euros so that it doesn’t fall foul of US sanctions, which were placed on Gertler last year. With the move, Glencore is trying to keep access to valuable mining assets, lowering the risk of disruption to copper and cobalt supplies. Glencore said the settlement with Gertler was “the only viable option to avoid the material risk of seizure” of its Mutanda Mining Sarl and Kamoto Copper Co. assets in Congo. 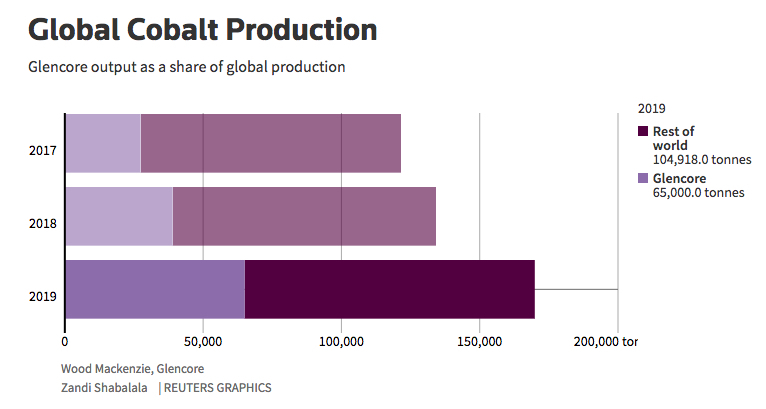 The mines are among the richest in copper and cobalt, and a key part of the company’s strategy of profiting from a rising battery metals boom. The company will pay Gertler 25.6 million euros ($29.7 million) in royalties from the Mutanda copper mine in DRC this year and 16.5 million euros ($19.2 million) each quarter from Kamoto, starting in 2019. According to RBC Capital Markets, Glencore seems to have eliminated the immediate threat to its assets in Congo. “Should there be any residual risks from paying this, in effect,‎ Glencore has managed to move the dispute from Congolese courts to U.S. courts,” analyst Tyler Broda wrote in a report Friday. 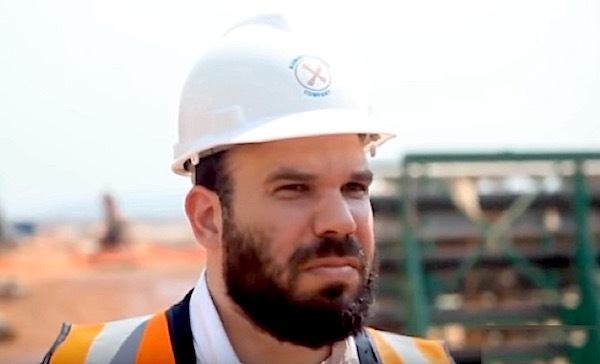 The settlement comes after Gertler , a close friend of DRC President Joseph Kabila, launched a lawsuit against Glencore in April, seeking almost $3 billion in damages for unpaid royalties. Glencore is also facing a legal challenge from Congolese-American businessman and convicted fraudster Charles Brown, one of the founders of Mutanda Mining. He claims he's owed $1 billion in compensation for a 19% stake he previously held in that company, and which was allegedly sold to Glencore in two fraudulent transactions, in 2007 and 2012. Earlier this year, the company reached a settlement in another dispute involving its Kamoto copper and cobalt mine in Congo. But the company is still at odds with the Congolese government over a new mining code, which increases taxes and royalties on minerals. Citi, a US investment bank, calculates that Katanga together with Glencore’s Mutanda mine in the DRC will contribute 35,500 tonnes or 27% of global supply during 2018. Those figures are set to rise to 59,300 tonnes and 39% next year. The Swiss company’s mounting troubles in the DRC could make it sell a stake in one or both of its local copper and cobalt mines, with the most likely candidates seen as Russian or Chinese companies, analysts say. Bringing in a partner could help Glencore mitigate against future risks in the country, where elections will be held later this year. However, the move would also add another player to the market, just as automakers are trying to lock up cobalt supplies and so meet aggressive plans to increase electric car production. Regardless, analysts are already predicting a price spike in Cobalt and other battery metals coming years. Citi says prices for cobalt are set to rise by a further 20% over the next two years hitting $100,000 a tonne by the fourth quarter this year, and average $110,000 by 2020.